After the revelations from NSA internal documents leaked by Edward Snowden, the world knows the NSA as the Real Techie Gangster of this 21st Century, with the ability to brutally infiltrate every kind of electronic device, the Internet, and global communications. NSA is not just focused on high-tech exploits, but also specialize in inserting secret backdoor to legitimate products. Its Tailored Access Operations (TAO) unit works with the CIA and FBI to intercept shipments of hardware to insert spyware into the devices. This way NSA is able to keep an eye on all levels of our digital lives, from computing centers to individual computers, and from laptops to mobile phones. It really trouble us when the Government itself force the service providers to Insert backdoors for the purpose of surveillance and made them maintain silence due to gag orders. So, on what users rely on? Most probability the best option left is - Open Source. Brendan Eich suggested not to blindly trust any software vendors, where the products are not Open Source. Because at the end of the day most big companies must comply with the law. "Mozilla has one critical advantage over all other browser vendors. Our products are truly open source" he said. "Every major browser today is distributed by an organization within reach of surveillance laws." Now what if the law force the vendors to secretly violate their own principles to do things they don’t want to do. The vendors itself are compromising their goodwill and End-to-End trust, and are becoming the part of users' furry. 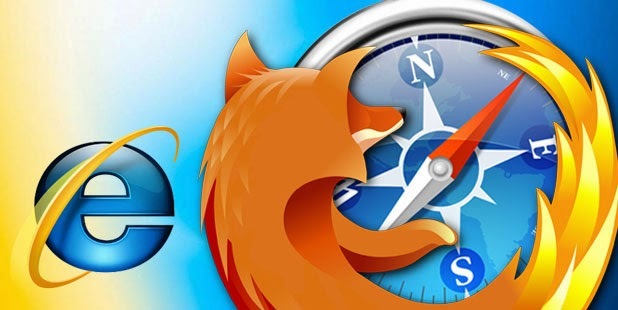 We all know that Microsoft's Internet Explorer is fully closed-source software and Safari, Chrome browsers are using open-source rendering engines or WebKits, but still they are not fully open-source and contain significant fractions of closed-source code. Where on the other hand, Firefox is completely open source, which means its source code is available to everyone and anybody can verify it and can detect flaws. Anyone can verify the official Firefox executable (available on the website for download) by comparing it with the compiled executable version from the original source code (also available for download). "Through international collaboration of independent entities we can give users the confidence that Firefox cannot be subverted without the world noticing, and offer a browser that verifiable meets users’ privacy expectations." He said. There's a lot of argument about whether the NSA's tactics have actually prevented much terrorism or otherwise aided the security of the United States only, but Security Guru, Bruce Schneier said, "If we can't trust either our government or the corporations that have intimate access into so much of our lives, society suffers."